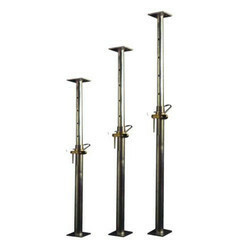 Leading Manufacturer of vertical adjustable props, scaffolding prop system and telescopic props from Chandigarh. 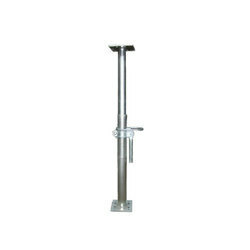 We are counted amongst the renowned manufacturer, supplier & exporter of a wide range of Vertical Adjustable Props. Our Verticals Props are highly used in various industries due to its vast features & specifications. Our esteemed clients can avail these Verticals Props at the very economical price range. The high tensile steel pin is located through a slot in the outer section and a hole in the inner section for coarse adjustment. The cast collar located below the pin gives fine adjustment for lending and striking. A self-clearing device on the collar nut, which automatically, clears the thread of concrete and dirt where the nut is, rotated thus assuring quick and easy adjustment. The range of Scaffolding Prop System offered by us is manufactured with only qualitative raw material and latest production technology. Widely used in the construction of the huge building, these shores are available in various sizes, diameters and other related specifications detailed by our esteemed customers. 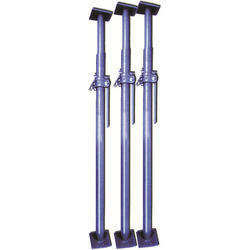 Provided by us is a quality-assured range of Telescopic Props to the esteemed customers. These products are extensively used in several industries and sectors for catering to their varied needs in the mat effective manner. We also customize these products as per the exact specifications provided by the customers.